My recent article: eBay Discussion Forums - A Dangerous Place to Dwell has stirred up a groundswell of opinion both from within and outside the eBay forums. 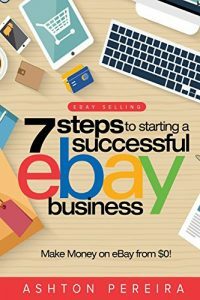 It seems that for a long time there have been two different kinds of eBay members, those who will be brave and venture into the forums for help or to socialize with other like minded eBay members and those who tried it before but will never go back. I have experienced the good, no, very good people who dedicate themselves to helping others on the forums every day. I must also say I have endured the asinine and demeaning people who game the system and torment members with sarcastic and negative behavior on the very same eBay forums. For years I have attempted to ignore the latter and enjoy the former. The eBay Discussion Forums - A Dangerous Place to Dwell article has brought many comments to this blog, both public and private. Most of the public comments have been in agreement with the premise that the eBay forums are broken. Some of the public comments have been less than appreciative, mostly due to my posting a video that they find offensive, a video which may name them as being part of the problem. Admittedly I do not know which names on the video are part of the problem and I never endorsed the publishing of names within the video. But these names are simply eBay member screen names which are basically anonymous and since so many members have multiple names, does it really matter if a name is included in a video on You Tube? I am sure John Donahoe and Lorrie Norrington's names are plastered from here to Timbuktu in videos on You Tube with less than flattering or inaccurate statements attached. This morning two constructive comments were submitted to the article by two knowlegable eBay members, one an eBay solutions provider, the other an advanced eBay education specialist. I was answering these comments with a single reply and became so long winded in my response, I decided to make the entire interaction into a new blog post for today. So without further adieu... Here are todays star comments - Thanks Steve and Jamie! I really don’t see where Scott is “tacitly agreeing to its content” at all. He has made that point several times. I have stopped participating in the forums because I didn’t feel that it was a good use of my time. I am sure that only a small percentage of eBay users even know that the Forums exist, let alone use them. For me the problem is, and confirmed in conversations with an eBay employee this week, is that the forums are old, outdated and unable to provide the sophisticated tools that online communities now desire. At present the eBay boards are outdated and sadly quite pathetic for a company of it’s size. They work in the sense that they allow people to converse but beyond that they offer very little. For me to be able to search for themes across all the boards is a process of utter tediousness as I have to search board by board. Not good enough. (b) an effective and consistent moderation team in place. I too only venture into the forums when someone sends me a specific thread they think I should read as to go there otherwise is a huge waste of time. One never knows whether the posts are placed in the forums by real people asking real questions or are planted off the wall comments meant to simply stir up trouble. I have seen people answer these very weird calls for help in an open and honest way with only good intentions and then be ridiculed for doing so by Feedies. I really never knew it was an organized game until recently, but this theory makes a great deal of sense. Members having multiple persona's with multiple eBay screen names is a huge problem. I myself have multiple eBay selling names for business purposes but I usually only use one name in the forums and it is attached to an actual live selling account. Maybe if eBay made members with multiple eBay screen names choose to only use one name in the forums, some of these shenanigans would cease. People are very bold when they think no one can find out who they are. 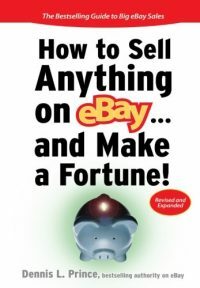 eBay deletes thousands of forums posts (by mistake) on regular intervals without much fuss. So porting to a new system shouldn't be a problem in that regard. As you know eBay outsourced the management of these forums to another company "Live World" back in 2001. Apparently that management contract did not include a clause to update the system from time to time. It also is a mistake because many eBay members do not know the "Pinks" are not eBay employees. This would explain why the "Pinks" don't seem to know much about eBay and explain why they moderate the forums based upon rule books only, with no experiential or subjective management whatsoever. Poor moderation is the key to this entire problem - as pointed out in my article. Depending upon members with multiple screen names to self police the forums is just not an effective method of "pre-moderation" any longer. It may reduce manpower costs but in the end, with the most active members devising ways to game the moderation and control the boards with the tactics described in the article, it only serves to hurt eBays reputation both from a "Buyer Experience" and seller effectiveness standpoint. The eBay forums, combined with eBays notoriously poor communications system and help files adds a great deal to the poor buyer experience factor they claim to be eliminating with many of the recent changes imposed upon eBay sellers. How can it be a good buyer experience when a new buyer stumbles into the "community" link and finds the "discussion forums" to ask a question that they could not get information about in the "help" section, only to encounter a "Feedie" or "Tool" or "Troll" who simply wants to play games with their question? Early on it was a friendly place with thousands of people helping new members understand the system through the discussion forums. This built a sence of community and commradity that has long since been removed from the equation at eBay. When one ventures off to other selling venues like onlineauction.com the difference on the discussion boards is palpable and refreshing. Many members at OLA repeat the initial feeling they get when in the forums at OLA as being "like eBay was back in the day". Why can't eBay be like that again? Would it be so difficult to actually clean up these forums and re-organize the system much has eBay has done in other areas? Community was the key to eBays early success and community brought with it the loyalty which allowed eBay to grow practically on auto pilot for nearly 10 years. The auto pilot has been disengaged and the car is veering of the road. Someone needs to take command of the ship and get it back on course. 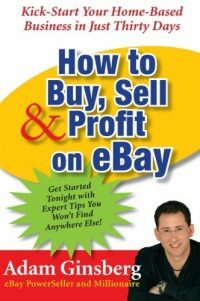 I think bringing eBay back to its roots, back to social marketing and networking, back to what made it all such a fantastic place in the beginning would be a much more effective fix than to eliminate checks and money orders as a payment option. eBay Search – Three Tabs – Fixed Price, Auctions, ALL – Best Match? Kinda like the people at the top of the eBay ladder that make the important decisions with a minuscule amount of feedback. I was shocked when several eBay Execs announced their feedback scores at eBay Live and expected people to think that they were one of us. Ha..it is laughable when you have people making decisions for Power Sellers that sell more in a day than the Execs have accrued in years. Also, thought you might want to know that there are several levels of moderation on the eBay boards. Each level has its pros and cons, and Mr Kennedy is right in that the results can be spotty and ineffective. On one level are the true “Pinks,” who are eBay employees whose posts must appear with the pink bar. There are Pinks assigned to the various boards, but most boards rarely if ever see their pinks. It’s my opinion that if each board had a resident Pink, things would be different. The next level is the outsourcing of the day-to-day moderation by Live World. They more than likely do work from scripts, and probably do not have a command of vernacular American English. We were told that the Live World moderators do not look at the context of a post in relation to the posts around it, which explains why people can get “slapped” for the most mundane reasons imaginable. I got slapped for a picture of my cat once…. The third level is the participation of the members themselves, so-called self-moderation. This is where members can report posts for removal. We have all been targets at one time or another, and some people lean more heavily on the report button than others. Again, this is definitely a place for improvement, considering the disconnect between Live World and the ongoing agenda(s) of one or more people. I agree that reform of the boards would improve customer relations. However eBay needs to step up to the plate here in several ways. More effective moderation of the board is only one part of it. The boards are necessary because eBay does a horrible job of educating and responding to its users. The Kabala of eBay is arcane and constantly changing. Try to navigate the Help sections sometime….Worse, try to pry an intelligent answer out of Live Help….EBay is notorious for poor customer service. Experienced and helpful people on the boards can cut through the mish-mosh and get you the answer you truly need in a short time. So yes, the boards need to be reformed. EBay either needs to pay for better moderation of the volunteers, OR it needs to cough up the money to pay for real customer service. Thank you for taking the time to explain the situation. I appreciate your efforts! You’re welcome. I think we both have similar goals. Better moderation of the boards would have gone a long way toward altering the course that led to the creation of the video I was objecting to earlier. Ebay forum moderation is a joke. It is manipulated by multi id trolls. Liveworld and the ebay pinks take no notice of malicious reporting. I recently had a post removed for the words “what’s gone”. Apparently this is against ebay rules. My posts have been consistently stalked and Live World has removed them even when they were as innocent as the one above. Normally I ignored the tedious Live World emails but this one was appealed to the community manager, James. He did not respond. Obviously since I did not rush to brown nose him every time he comes onto the boards he does not consider my id (which was my selling id, not a troll posting id) worth responding to. I have used ebay since .co.uk came into being. I will no longer even read the ramlbings of the ebay apologists who populate the boards in their multi-ids. Ebay has truly gone down the pan in the last twelve months, the ebay forums have led the way into that demise.